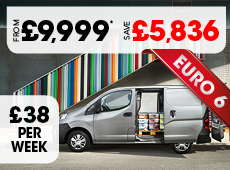 Only £11,999* - Was £16,835 - Save £4,836! 68 PLATES IN STOCK NOW! ​Peugeots all new Partner is here, combining practicality with a dynamic drive whilst also doubling up as a mobile office. The Partner was designed with the users needs in mind. The dimension of the Partner are a length of 4.40cm, with an optimum usable length of 1.81m. Capacity is 3.30(m3), with a kerb to kerb turning radius of only 10.82m. The Partner brings a new driving experience, giving the perfect balance between convenience and drivability. The partner is fitted with cutting-edge technology such as an 8" mirror touch screen compatible with Apple Play and Android Auto, surround rear vision with two cameras, two USB sockets, an overload alert system and much more. With the customers safety being key, the Partners 3D navigation system is accompanied by Peugeot Connect SOS and Assistance. In the event of an accident Peugeot Connect SOS raises the alarm, geo-locates the vehicle and contacts emergency services, if necessary. Peugeot Assistance can use information like geolocation, vehicle chassis number, mileage and mechanical warnings flagged up by the on-board computer to send a recovery vehicle if needed, allowing you to drive confidently and at ease. THE PEUGEOT PARTNER IS AVAILABLE FROM ONLY £200 + VAT PER MONTH. THAT IS JUST £46 PER WEEK!